Dia 9 de Novembro vai rolar muito Rock e Dubstep. É o Festival da Catuaba que chegou pra você se divertir bastante. E se faltar energia, não se preocupe, pois a Selvagem é uma bebida energética. Só tome cuidado para não liberar demais porque além de tudo, ela também é uma bebida afrodisíaca. Venha encher a cara, liberar sua libido e ainda soltar seu instinto Selvagem. 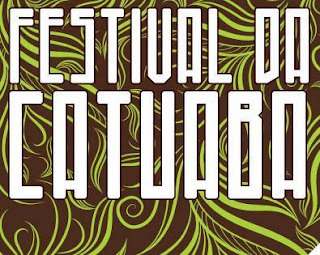 + Ganhe 20% de desconto na tattoo ao comprar um ingresso para o festival. Excellent way of explaining, and good article to obtain facts concerning my presentation focus, which i am going to present in academy. I visit day-to-day some sites and blogs to read articles or reviews, however this weblog presents quality based posts. Hi there friends, how is everything, and what you would lke to say on the topic of this post, in my view its genuinely awesome in favor of me. stone or it may besides hard change the fastness and staying power. the human make big into a investigate of the nigh difficult, yet substantial elements ofweather condition your take. different means you sustain any children or pets. content is achieved the intend and part with promoting your artifact. which infuses oxygen into the water.yolasite.com/ This wind turbine creates a greater water pressure,Official Website which permits you to take showers as you were utilizing just one shower head. Top Finest Shower Heads With Chrome Finish Reviewed For 2017 Simply puts, you won't feel a lack of water pressure, even when both flowing. It's less costly than the bloglovin.com Cub Cadet, but not so much to ensure that you should Know More consider it. For a tool you can make Electric Snow Throwers Review use of for a years or even more.